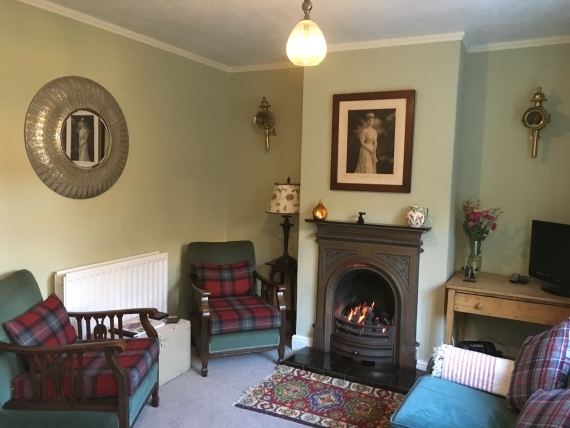 Demeter holiday cottage has been decorated and furnished to a high standard with a mixture of antique and contemporary furniture. 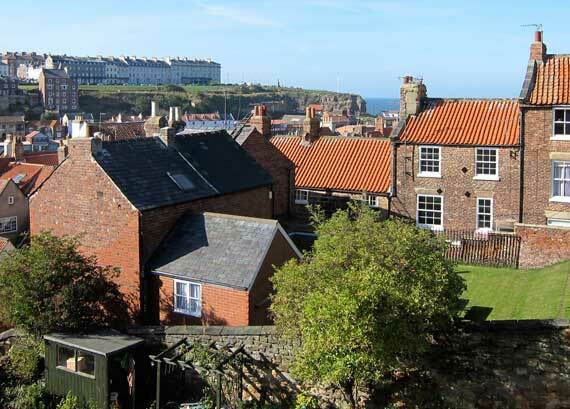 It has an open aspect enjoying views over the rooftops towards the West Cliff in Whitby. There are steps up to the holiday cottage from White Horse Yard which lead you into the ground floor with dining kitchen and sitting room. 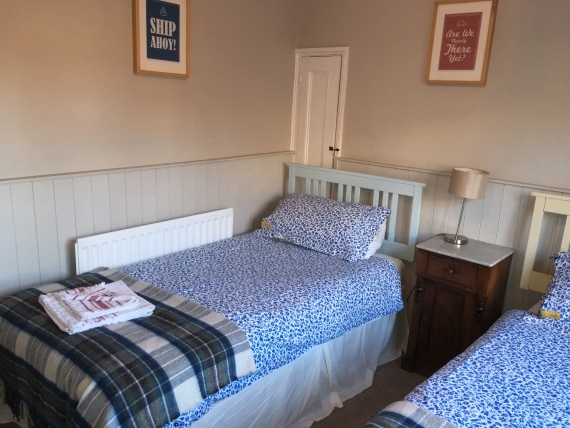 On arrival you will find a Welcome Pack with milk and a copy of the local paper so that you can see what is happening in Whitby during your stay. The sitting room has a flatscreen TV with Freeview with integral DVD player and an ipod docking station. There is a large DVD collection containing both family and children's films. services included in cottage rental), all bedding. Towels available at additional charge. Sitting room with TV , DVD player, radio/CD player, ipod dock, novels and books of local interest. The nearest car park is only a short walk away. On the first floor you will find situated a bathroom and bedroom one (two single beds). The outer harbour and sea can be seen from the second floor. 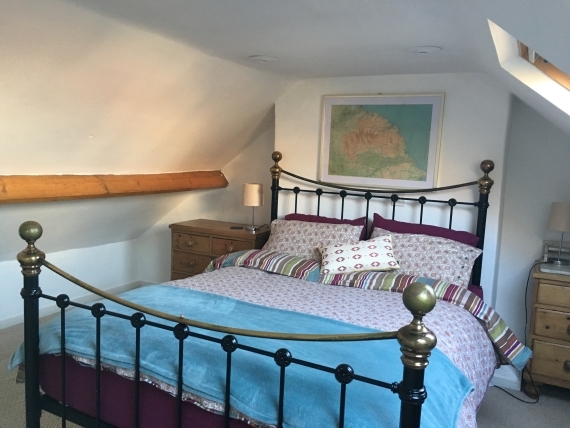 On the second floor visitors will be charmed by the large attic bedroom with its luxurious king sized bed. You can view the caption cook monument and the see the sea! 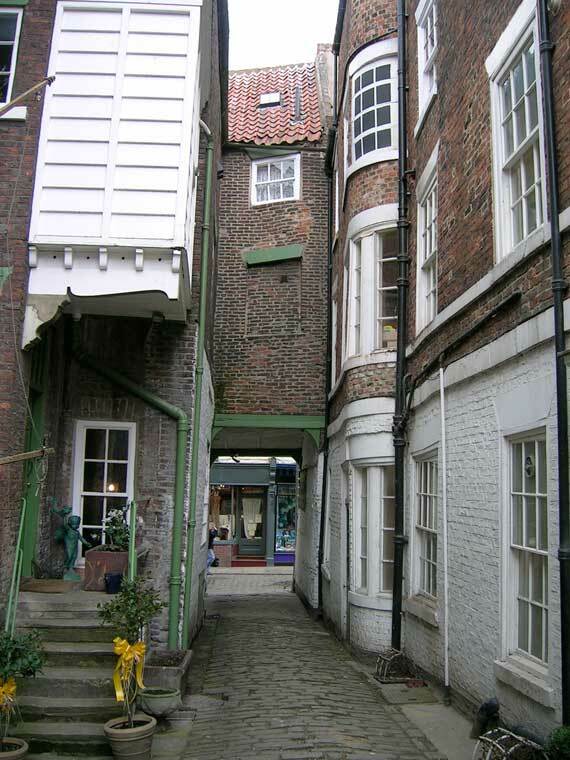 White Horse Yard is one of Whitby's old yards, dating back centuries and rising steeply from Church Street up to the Abbey Plain, by steps and footpath only. To either side of the steps are quaint fisherman's cottages, dating back hundreds of years. 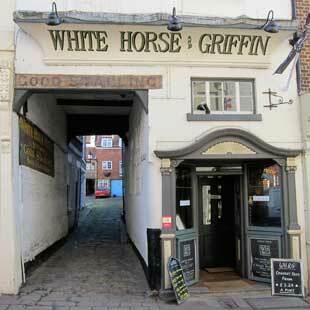 The 'White Horse and Griffin' Inn, at the entrance to the yard, dates back to 1691 and is steeped in history. The first stagecoach left here, for York in 1788. Charles Dickens is said to have visited and eaten there. Captain James Cook and William Scoresby both used rooms at the 'White Horse and Griffin' to hire their crews for their voyages of discovery. George Stephenson also used to meet here with his investors for his railway. All children, including babies, are very welcome, however , no equipment is provided, but parents are welcome to bring their own. 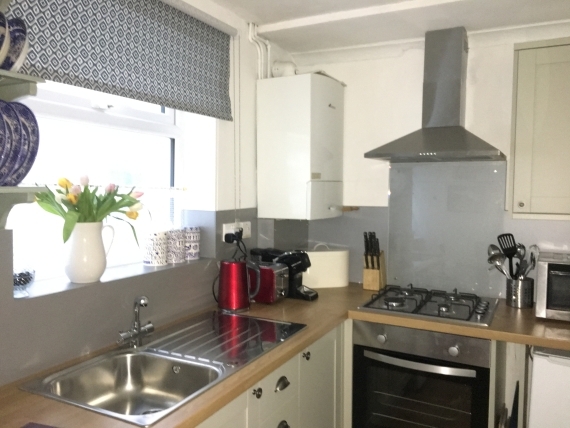 As this is a traditional fisherman's cottage, visitors must appreciate that there are some steps up to the holiday cottage and steep stairs within, so is unsuitable for anyone with mobility problems.